It was the capital of the former province and county of Roussillon and is very much a Catalan city. With its open squares, good food and wine it makes a delightful place to visit. Spend a day exploring Perpignan with its wonderful historic section and a very interesting walk through-narrow streets with lovely small shops and a Galleries Lafayette. There is an Arab section which has a great market on Sundays. Also the 'Castillet' cinema shows English and American films in English. Visit the red brick Castillet tower or the 13th century Palace of the Kings of Majorca, the former residence of the Kings of Majorca, located at the heart of the citadel, this palace is one of the testimonies of mediaeval, civilian and military architecture of the South of France, Languedoc Roussillon. Céret is the capital of an area called Vallespir, near the Spanish border, where Chagall, Dali, Matisse and Picasso all lived. Their works are showcased (including Picasso's famous 'bowl' series) in the Museum of Modern Art which is a small but popular museus. 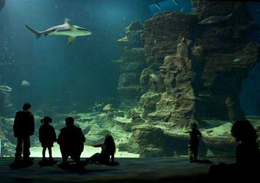 Located on the outskirts of Montpellier, Languedoc Roussillon, is Odysseum which combines attractions such as the Mare Nostrum Aquarium, a Planaterium, cinemas, an ice skating rink, bowling alleys, restaurants and of course an enormous shopping mall. 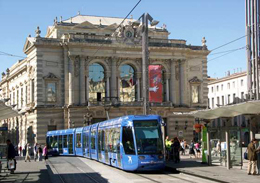 Alternatively, park on the outskirts of town and take a tram ride down into the centre then stroll around the pedestrianised roads and visit the many shops and boutiques. There is also the large indoor Polygone shopping centre. There are many cafés and restaurants to while away a pleasant hour or so and then there is the wonderful Musée Fabre art gallery. Near Sigean in the Aude, about 15 km south of Narbonne, there is an underground cellar with a wine exhibit covering the history of wine and Mediterranean culture. 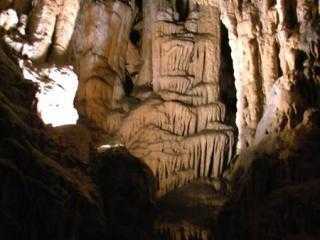 It has a restaurant with a choice of menu's and wine tasting with a difference. This is a pretty town on the coast with a delightful harbour and a gorgeous beach. Surrounding the port are a collection of restaurants offering fresh seafood and afterward visit La Maison Noilly Prat where you can find out how this tipple (like vermouth) is made and stored. Used in cocktails and cooking (extensively used for sauces, especially to accompany fish) this dry vermouth was founded in Marseillan in 1855 and remains there today. You cannot go to Nîmes and not visit the wonderful elliptical Roman amphitheatre of the 1st or 2nd century AD. 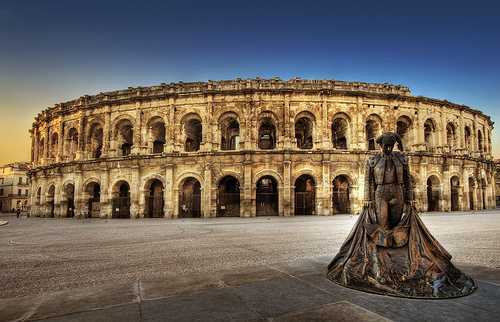 It is the best-preserved Roman arena in France and is still used today as a bull fighting and concert arena. The Musée des Beaux-Arts de Nîmes is a fine arts museum and the Carré d'Art houses modern art. If the weather is not too inclement, then it is worth visiting the fabulous The Pont du Gard nearby (a Unesco world heritage site). It is a well-preserved Roman aqueduct that used to carry water across the small Gardon river valley and is one of the most famous landmarks of France. Take the children to Uzès to the Haribo Musée du Bonbon (sweet museum). Uzès hosts one of the most famous and colorful Saturday markets in the south of France. Under the arcades of the Place aux Herbes and along the neighboring streets you will find a profusion of regional products. In late January there is a truffle market and the Place aux Herbes is transformed so that truffle hunting demonstrations can be carried out. Please note, for all the above it is advisable to check opening times etc. during the winter months.